Last week's Scottish Fashion Awards (15 June) were an incredible tribute to the talent of Scotland’s fashion graduates. It is undeniable that the Scots are currently the hottest ticket at London Fashion Week (Christopher Kane, Jonathan Saunders, Holly Fulton and Louise Gray to name a few) and that Scottish materials are dominating collections – Autumn / Winter 11 is packed with Harris tweed, tartan and Scottish cashmere – so when Stylist were invited by Swarovski (the event’s sponsor) to travel up to Glasgow for the 6th annual awards ceremony, we knew it would be an evening not to miss. The day started on a glamorous high with A-listers and fashion industry insiders heading to the champagne-filled Swarovski suite at the One Devonshire Hotel to get ready with help from Toni & Guy and Bobbi Brown and pick out some Swarovski jewels (we chose an amazing Art Deco style necklace from the archives). 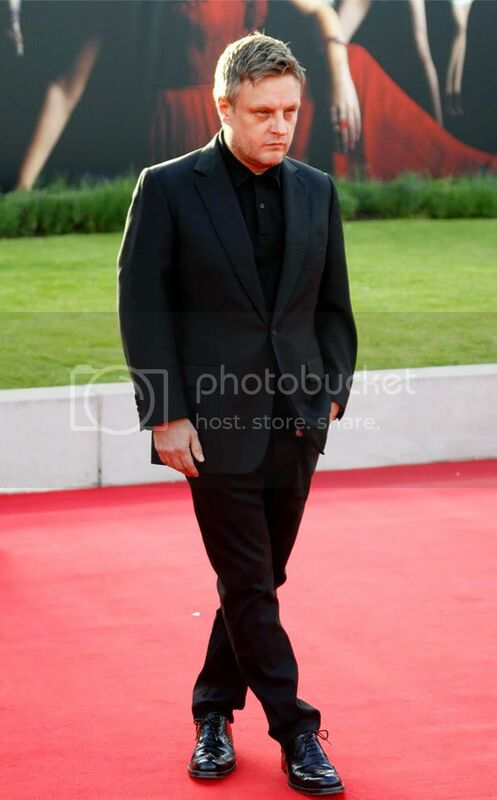 Later on, with our camera crew in tow and taking pride and place next to BBC Scotland on the red carpet at Glasgow’s Science Centre, we chatted to the attendees on all things Scottish and fashionable. From Lulu (in a Chanel sequin blazer) to Dame Shirley Bassey (in an incredible tartan Graeme Black dress), Samantha Cameron (in neon Christopher Kane) to Rankin, the guest list was impressive. More drinks were to follow and onto dinner where we mingled with the best of them. Dinner was sublime – smoked salmon followed by tender beef and a chocolate tart – and featured an exclusive showcase of Swarovski’s AW11 jewellery and couture ‘Wings of Fantasy’ collection which was styled by Paris based Creative Director Nathalie Colin. Later guests danced the night away to new artist Yasmin and sipped mojitos at Capital FM’s after party. All in all, an amazing evening and the perfect platform to showcase Scotland’s growing fashion influence. We’re already looking forward to next year! See red carpet photos and watch our video highlights from the evening below - find out how Jonathan Saunders feels about his win, why Rankin is proud to be Scottish and how Lulu has found her perfect fashion style. 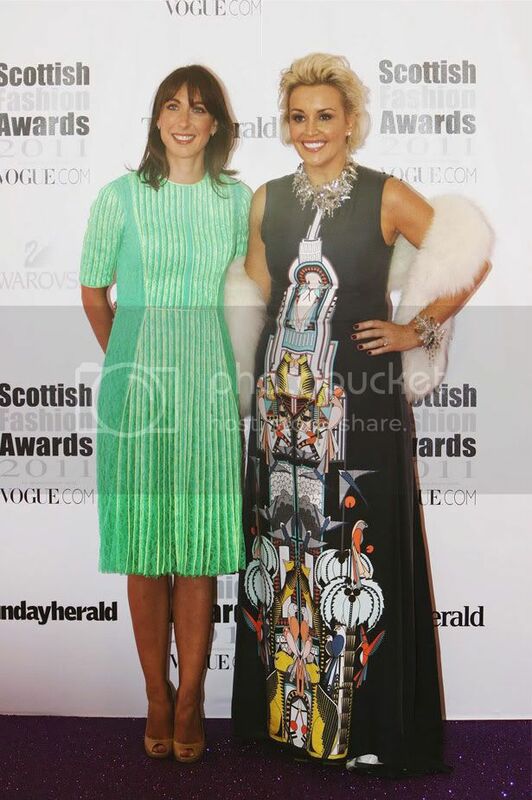 ABOVE: Samantha Cameron, who is an ambassador for the British Fashion Council, in neon Christopher Kane, with Tessa Hartmann, chairman and founder of the Scottish Fashion Awards.